Samsung took to its forums to assure owners of unlocked handsets that Android 8 Oreo is on the way. The company has been updating carrier-branded versions of the Galaxy S8, S8+, and Note8 to Android 8 Oreo over the last few weeks. Samsung says the delay in getting Oreo to its unlocked devices is that the update needs more rigorous testing to ensure it works with the majority of carriers worldwide. "We’re working with our carriers to get Oreo out to all eligible Galaxy S8/+ and Note8 devices within the next 2-3 weeks," said Samsung. The company said final testing is still pending, so it can't guarantee the exact date for the update. The update includes the core Android 8 code in addition to the latest version of Samsung's user interface. People in the U.S. who own the Samsung Galaxy S8 or S8+ can expect to see Android 8 Oreo reach their phone over the coming days. Sprint, T-Mobile, Verizon Wireless, and not AT&T are all pushing the system upgrade to their customers. Oreo includes notification dots, picture-in-picture, and autofill. The update brings the S8/S8+ in line with the user experience seen on the newer S9/S9+, which includes updated emoji. It also packs the February 2018 security patch from Google. The update weighs in at a little over 1.5 GB and can be downloaded over WiFi. Samsung has not yet said when it will update the unlocked model of the S8/S8+ to Oreo. Samsung has pulled the Android 8 Oreo update for the Galaxy S8 after users reported random reboots. "Following a limited number of cases where Galaxy S8 and S8+ devices have rebooted unexpectedly with the Android 8.0 Oreo, we have temporarily stopped the rollout of the update," said Samsung in a statement provided to SamMobile. "We are investigating the issue internally to ensure that the impact to the affected devices is minimized and the rollout of the update can resume as quickly as possible." Samsung has been rolling out Android 8 slowly over the last few weeks, mostly in European markets. 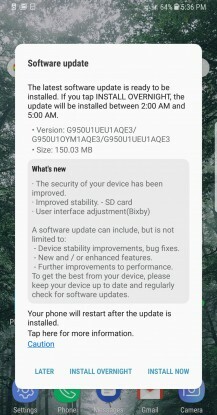 The update had not yet reached the S8 and S8+ in the U.S. Samsung did not say when it expects the make the update available again. Samsung today said its Samsung Pay mobile payment service is now available in Mexico. According to Samsung, its touch-and-go payment tool is accessible in 20 markets around the world, including the U.S. Samsung Pay makes use of both NFC and MST to connect to retail payment terminals. This gives it an advantage over services that use only NFC, such as Apple Pay and Android Pay. In order for Samsung Pay to function in Mexico, the company partnered with a number of card issuers, including American Express, MasterCard, and Visa, and local banks, including Banorte, Banregio, Citibanamex, HSBC, and Santander. Samsung Pay supports credit cards, debit cards, and loyalty cards/programs. It can be secured via iris recognition or fingerprint. Transactions are tokenized in order to maintain security. Samsung Pay is available on many of Samsung's top-tier handsets, such as the Galaxy S8 and Note8. Verizon Wireless said customers can save big on select smartphones with a new buy-one, get-one offer that kicks off January 23. New and existing customers who add a new line of Verizon Unlimited service will be able to buy the Google Pixel 2, Samsung Galaxy S8, Motorola Moto Z2 Force, or LG V30 and get a second one for free. In order to qualify for the offer, both devices will need to be purchased on a monthly installment plan. The BOGO deal also requires a trade-in, the value of which can be put toward the purchase price of the new phones. Verizon will cover the cost of the second phone via monthly bill credits over the course of 24 months. Customers won't be able to mix and match: the second phone must come from the same manufacturer as the first, though people can opt for the larger Pixel 2 XL or Galaxy S8+ and cover the difference in cost on the second device. The Verizon BOGO deal counters a similar one launched by T-Mobile earlier this month. Samsung plans to announce its 2018 flagship handset at next month's Mobile World Congress trade show in Barcelona. Some had speculated the company would reveal the phone at CES, but JD Koh, president of Samsung's mobile business, confirmed to ZDNet that the Galaxy S9 will arrive in February. Samsung has used MWC on several occasions to launch is flagship Galaxy S series, most recently the Galaxy S7 in 2016. The Galaxy S8 marked its debut at a stand-alone event in New York City on March 29, 2017. Sales of the new Galaxy S9 could could begin as soon as March of this year. Some reports suggest the new phone will be an upgraded version of the S8 design, with a relocated fingerprint sensor and dual cameras. Samsung has not confirmed any feature of the phone. Koh also noted that Samsung plans to release a foldable smartphone at some point in 2019. The last twelve months have given us some of the most compelling smartphones ever made. New screen shapes, advanced cameras, and waterproof bodies have improved the everyday experience of those willing to fork over lots of cash for high-end handsets. Here are our picks for the top five flagship smartphones of 2017. Verizon Wireless plans to let holiday shoppers score a smartphone for free with an upcoming buy-one, get-one deal. Beginning Friday, December 15, customers who buy an Apple iPhone 8 or iPhone 8 Plus, or a Samsung Galaxy S8 or S8+ can get a second device for free. Both devices will need to be purchased on a payment plan and at least one must be a new line of service. The second phone must be from the same manufacturer and be of equal or lesser value. The cost of the second device will be reimbursed monthly over a 24-month period. Verizon says the offer is valid for existing customer upgrades, as well as those who switch to Verizon. The buy-one, get-one deal will be available for a limited time. Samsung made a red version of its Galaxy S8 flagship handset available for sale this week. 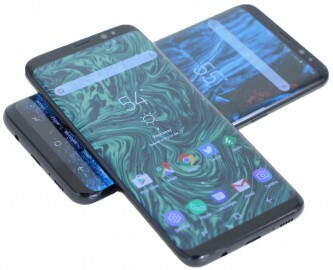 The device is initially being sold in Samsung's home market of S. Korea, and it will eventually be sold in other markets around the globe. Samsung said it will be up to individual carriers within those markets to announce plans to sell the burgundy S8. The phone is already available in black, gray, blue, and gold. Samsung recently made a blue version of the Galaxy Note8 available to U.S. buyers. T-Mobile today said more customers around the country should have access to faster wireless speeds. The company has reached several new milestones with respect to its wireless network. First, it has doubled its LTE-Advanced footprint to more than 920 markets. The company has deployed a trio of LTE-A technologies, including carrier aggregation, 4X4 MIMO, and 256 QAM, in 430 of those markets. Gigabit LTE relies on a combination of these three LTE-A technologies along with certain on-device components and proper backhaul. Together, these technologies are able to improve spectral efficiency, reduce congestion, and deliver the highest-possible speeds to handsets. Only a few devices equipped with the Snapdragon 835 processor with X16 LTE modem can access Gigabit LTE, including the Samsung Galaxy S8 and Note8, the Motorola Moto Z2 Force Edition, and the LG V30. T-Mobile customers who own these devices and live in the 430 markets with carrier aggregation, 4X4 MIMO, and 256 QAM may be able to tap into Gigatbit LTE download speeds (800 Mbps). Gigabit LTE is a stepping stone to 5G and T-Mobile plans to keep moving forward. The company is prepared to launch LTE-License Assisted Access (LTE-LAA) later this year. LTE-LAA makes better use of unlicensed spectrum on small cells. T-Mobile did not provide a timeline for these network upgrades. Samsung today announced a major update to its Bixby personal assistant service. Samsung calls Bixby 2.0 a "bold reinvention" of the platform that will be available not only on phones, but other smart devices, such as TVs, refrigerators, and speakers. Bixby 2.0 will feature enhanced natural language processing for more natural commands and feedback. The assistant will be able to differentiate between multiple users' voices as well as their individual preferences and settings. Moreover, Samsung is opening Bixby up to third-party app developers. The company has made a private beta of the Bixby SDK available to select developers to test the platform and explore how it can be put to work in sports, food, entertainment, travel, and other apps. Samsung will slowly allow more developers to access Bixby over time and eventually expects to make the Bixby SDK available to all developers. "Bixby 2.0 will ultimately be a marketplace, for intelligence," said Samsung. "A new channel for developers to reach users with their service, not just on mobile devices, but through all devices." Bixby launched on the Galaxy S8 and S8+ earlier this year. It goes beyond the simpler types of requests available to Siri and Google Assistant by allowing Samsung smartphone owners to issue intricate commands that control applications. Owners of the Samsung Galaxy S8 and Note8 smartphones can now modify the behavior of their handset's dedicated Bixby button. 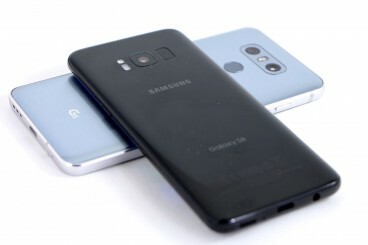 The hardware key, located on the left edge of the phone, automatically calls up Bixby Home with a short press or Bixby Voice with a long press. A new software update that recently hit S8, S8+, and Note8 phones adds a toggle for controlling the Bixby button. Owners of these phones can opt to disable the short press function, which launches Bixby Home. This prevents accidental presses from opening the app. A long press still calls up Bixby Voice. The Bixby button has been a point of contention with some S8, S8+, and Note8 owners who'd prefer the button handled other tasks. The update from Samsung also makes a few performance tweaks. 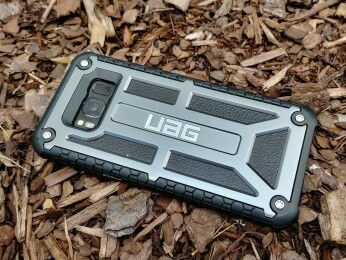 Urban Armor Gear (UAG) makes a range of semi-rugged cases for today's top smartphones. The UAG Plasma Series and UAG Monarch Series for the Samsung Galaxy S8 are more industrial-looking than most, but offer a higher degree of protection in return. Let's dive in. Verizon Wireless says it has attained peak download speeds as high as 953 Mbps in a field test conducted on Boca Raton, Fla. The test was completed with commercially available equipment from Ericsson and Qualcomm using Verizon's cell tower and backhaul. The companies took advantage of four-channel carrier aggregation, 4x4 MIMO, and 256 QAM on a device equipped with a Qualcomm Snapdragon 835 processor and Snapdragon X16 LTE modem. Verizon says it reached those speeds via LTE-LAA (licensed assisted access), which bundles together Verizon-owned spectrum with unlicensed spectrum, such as that used by WiFi networks. This type of gigabit LTE service will bridge today's LTE 4G networks with the 5G networks of the future. Verizon says multiple gigabit LTE devices are already available in the market, such as the Samsung Galaxy S8, but it did not say if or when it might begin deploying LTE-LAA across its own network. 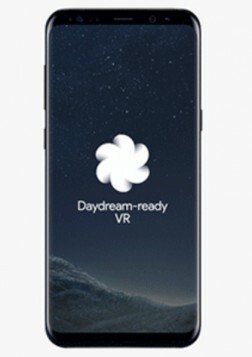 Samsung's Galaxy S8 and S8+ are now compatible with Google's Daydream virtual reality platform. According to Google, an update should reach both handsets this week that initiates Daydream services. Daydream is Google's VR program that brings together content from varied sources, such as YouTube, Netflix, CNN, and much more. It requires two separate apps, including Google Virtual Reality Services and Daydream. Daydream content is accessible only from Google's own Daydream VR headset. The S8 and S8+ are already compatible with Oculus VR content and the Samsung Gear VR headset. 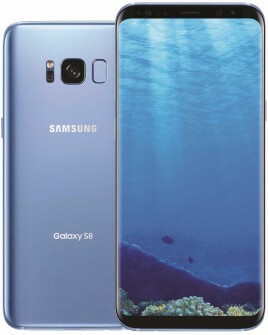 Samsung today said the Coral Blue variant of the Galaxy S8 and S8+ handsets will become available to U.S. buyers starting July 21. According to Samsung, carrier-specific versions for AT&T, Sprint, and Verizon will be available at Best Buy stores, while the unlocked version will be available at Best Buy and Samsung.com. Customers looking to save some money can take advantage of a promotion at Best Buy stores between July 21 and July 29 that offers up to $400 off the cost of the handset with a carrier activation. 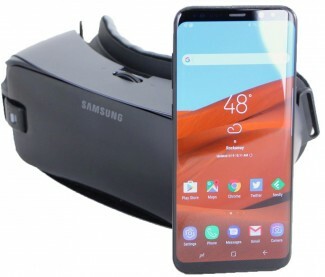 Samsung said consumers can save up to $150 of the price of either handset when purchasing the phone directly from Samsung, as well as take advantage of Samsung's trade-on promo. Details concerning the promotions are available from Samsung's web site. The Galaxy S8 and S8+ are already available in black, silver, and gray. Samsung today said Bixby now speaks English well enough and is ready for launch in the U.S. Bixby has been available in Samsung's home market of Korea since earlier this spring, but had been delayed in the U.S. because the company didn't have enough data for English. The company opened an English preview of Bixby to select testers in the U.S. last month. A software update will be available to owners of the Samsung Galaxy S8 and S8+ as soon as today, which installs the "consumer" version of Bixby on Samsung's smartphones. With Bixby Voice is installed, Galaxy S8 owners will be able to press the dedicated Bixby button and talk themselves through the entire user interface of select apps, rather than just issue short commands for one-time actions. 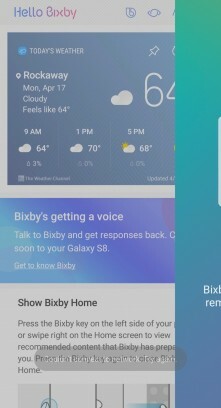 Bixby Voice fully supports 10 apps at launch, including the gallery, messages, settings, phone, contacts, weather, calculator, reminders, Bixby Vision, and the camera. Samsung is preparing more apps for Bixby, including Samsung Pay, Samsung Health, notes, My Files, email, and the internet browser, along with third-party apps such as WhatsApp, Tumblr, Twitter, Facebook, Facebook Messenger, Instagram, and YouTube. Samsung didn't say when Bixby compatibility will reach these apps on consumer devices. Galaxy S8 and S8+ owners can expect to see Bixby Voice arrive shortly. 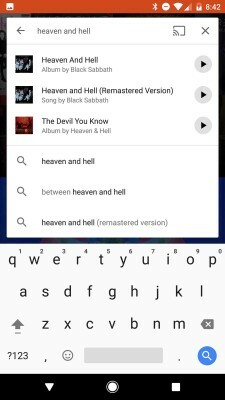 Google has updated its Play Music app for Android devices and made it possible to play songs directly from search results. Now, when users search for a song, album, or artist, the top three results include a "play" button that lets them jump immediately to those songs. Google's own auto-generated search suggestions now appear further down the screen. 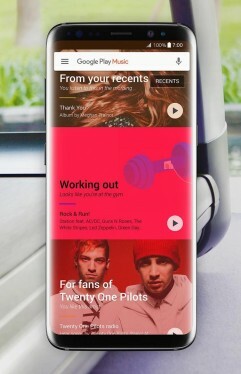 Playing any of the results pushes the music player controls to the bottom of the screen. Google added this functionality to the Play Music web site earlier this year. In another change, Google Play Music has expanded the availability of the New Release Radio playlist tool (initially an exclusive to the Samsung Galaxy S8/S8+) to all Android devices. Google Play Music is free to download from the Google Play Store. Samsung and PayPal today announced that Galaxy smartphone owners can now use PayPal as a funding source for Samsung Pay. Samsung said all Samsung Pay users in the U.S. will have access to PayPal as a funding source, and it can be used to make purchases anywhere Samsung Pay is accepted. Samsung Pay uses both NFC and MST technology and works at most retail credit card terminals. Beyond retail locations, Samsung says a partnership with Braintree means Samsung Pay users can take advantage of PayPal to fund in-app and online purchases as well. PayPal support is being rolled out to the Samsung Pay service this week. Samsung Pay is available to Samsung's high-end handsets, such as the Galaxy S6, S7, S8, and variants, and Galaxy Note 5. Apple added support for PayPal to Apple Pay earlier this month. Sprint has pushed a firmware update to its variant of the Samsung Galaxy S8 and in so doing improved the phone's LTE download speeds by about 20%. According to PCMag, the update resolves a software bug that prevented the S8 from properly connecting to Sprint's Band 41 LTE. Sprint says about 85% of its S8 customers have already applied the update, which was pushed last month. Sprint delivered a similar update to the HTC U11, which also gained a performance boost in download speeds. Speck's Presidio series cases for the Samsung Galaxy S8 come in many forms and serve many functions. 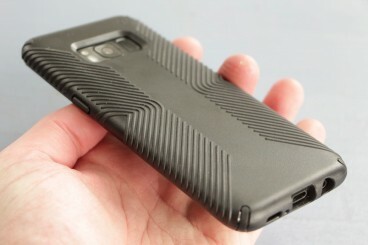 The Presidio Clear case is all about letting the S8's design speak for itself, while the Presidio Grip case is a more rugged option for the active sort. Are either of these cases the case for you? We put them to the test to find out. Here is Phone Scoop's review. T-Mobile today said it, too, has successfully tested LTE-LAA in real-world trials. The company claims its LTE-LAA tests reached 741 Mbps in and around Los Angeles. Like the recent tests conducted by AT&T, T-Mobile's use of LTE-LAA combines airwaves that it owns along with unlicensed spectrum to push speeds upward. T-Mobile says it was able to aggregate 80 MHz between licensed and unlicensed spectrum in its trials to attain the 741 Mbps download rate. More importantly for the short term, T-Mobile has deployed LTE-U in some markets. LTE-U relies on public 5 GHz spectrum (same as WiFi) along with advanced network technologies including carrier aggregation, 256 QAM, and 4x4 MIMO to boost LTE performance. T-Mobile is offering LTE-U in Bellevue, Wash.; Brooklyn, N.Y.; Dearborn, Mich.; Las Vegas, Nev.; Richardson, Texas; and Simi Valley, Calif. More markets will score LTE-U service later this year. Right now, the Samsung Galaxy S8 is the only device able to take advantage of LTE-U. Samsung recently seeded a software update to its Galaxy S8 and S8+ smartphones. The update applies the June security patches from Google, stabilizes memory card performance, and adjusts some user interface elements of Bixby. The update comes in at about 150MB and can be downloaded and installed over the air. Samsung today announced that U.S. owners of the Galaxy S8 and S8+ smartphones can begin to test the voice powers of Bixby. Bixby is more than a simple voice assistant, as people can use it to interact with all facets of the phone's user interface. Samsung calls Bixby an intelligent interface, one that it hopes will help people interact with various types of technology and not just phones. Anyone who owns the Galaxy S8 or S8+ can register with Samsung to test the early preview of Bixby. According to Samsung, the number of testers will be limited. The sign-up is available from Samsung's website. Bixby was originally intended to launch on the Galaxy phones when they went on sale earlier this year. Samsung was forced to delay Bixby, however, and has since said Bixby will arrive later this summer. 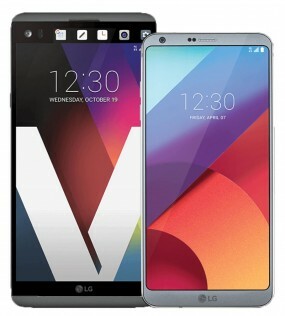 T-Mobile said shoppers will be able to score a free Samsung Galaxy S8 or S8+, or LG G6 or V20 (pictured) through a new buy-one, get-one offer that kicks off June 16. Existing T-Mobile customers need to buy both phones on an installment plan and subscribe to an unlimited data service plan in order to qualify. New T-Mobile customers will need to activate both phones on the T-Mobile One plan. The BOGO offer requires customers to mail in a rebate form. T-Mobile will then mail a prepaid gift card within about eight weeks to cover the cost of the second handset. T-Mobile says it will reimburse customers for the cost of the lesser of whichever phones they purchase, up to $500 for the LG G6 or V20 and up to $790 for the Galaxy S8 or S8+. Customers will need to pay sales tax on both devices at the point of sale. The offer is contingent on customers staying through the 24 month installment plan. Those who leave T-Mobile before 24 months will need to cover the remaining balance of the two phones. T-Mobile warns that video is streamed at 480p and the top 3% of users may experience reduced speeds during network congestion. Living the unlocked life is living the best life, at least when it comes to your smartphone. Many handset makers offer unlocked versions of their top devices, including, as of this week, Samsung. If you're in the market for a Galaxy S8 or S8 Plus, here are a few reasons why buying the unlocked variant may be worth the little bit of extra effort. Samsung today made unlocked versions of its flagship Galaxy S8 and Galaxy S8+ smartphones available for sale. 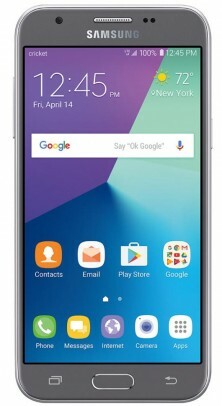 People interested in the unlocked phones can pick them up at select Best Buy retail stores, as well as BestBuy.com and Samsung.com. Samsung says the unlocked variants of the S8 and S8+ are compatible with most wireless networks around the world, including those operated by AT&T, Sprint, T-Mobile, and Verizon Wireless in the U.S. Samsung-branded apps and services are aboard the unlocked S8 and S8+, but carrier-branded bloatware is absent. Samsung's Bixby voice-based assistant is still not ready, though Samsung expects it to arrive in the next month or so. Best Buy and Samsung will permit phone trade-ins, as well as 24-month financing, to help defray the cost of the device. The Galaxy S8 costs $725 and the Galaxy S8+ costs $825. The unlocked phones are only available in midnight black. 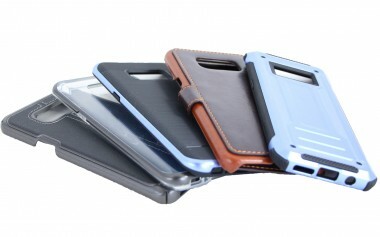 Smartphone cases must outnumber smartphones 10 or 20 to 1. Finding the right combination of style, usability, protection, and price takes more than just a few moments thought. If you're exploring less expensive alternatives to what's available in most carrier stores, VRS Design has a wide variety of cases to protect your Samsung Galaxy S8 or S8+. Here are our thoughts on a few options. Samsung has rolled out a simpler and more direct buy-one, get-one offer for the Galaxy S8 smartphone. Under the terms of Samsung's deal, customers must buy two Galaxy S8 handsets for full price and activate at least one on T-Mobile's network via Samsung.com. Samsung will then issue a rebate for up to $750 to cover the cost of one Galaxy S8 within seven to 10 days after the purchase is made. The rebate is applied as a refund directly to the original payment method, excluding taxes, shipping, or other fees. T-Mobile's buy-one, get-one offer, in comparison, requires new/upgrading customers to sign up for its monthly installment plan for both devices and wait up to eight weeks for a rebate card that can be applied to the second device. Samsung's offer lets customers pay off the second phone almost immediately. Moreover, it can be combined with the free entertainment kit offer, which includes the Gear VR with Controller headset and six free months of Netflix. T-Mobile today introduced a buy-one, get-one promotion for the Samsung Galaxy S8 and Galaxy S8+. Customers who add a line and finance both phones on an equipment installment plan will receive a gift card for the value of the second phone. The S8 costs $750. T-Mobile is asking for $30 down followed by $30 per month for 24 months. The larger S8+ costs $850, and for that model, T-Mobile is asking for $130 down followed by the same $30 per month for 24 months. In order to score the deal, customers may be hit with a $25 SIM starter kit or $20 line upgrade fee. T-Mobile says sales tax on both devices is due at the time of purchase. The prepaid MasterCard rebate may take as long as eight weeks to arrive and customers will be responsible for making all device payments. Customers who leave T-Mobile before the end of the 24-month financing program will need to pay the device balance. The BOGO deal is available starting today. Samsung today said unlocked versions of its flagship Galaxy S8 and Galaxy S8+ smartphones will be available online later this month. 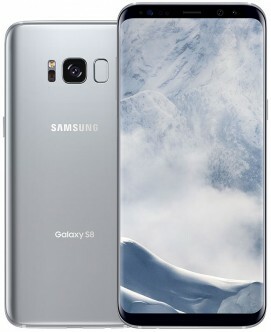 People interested in the unlocked phones can pre-order them from BestBuy.com and Samsung.com beginning today. 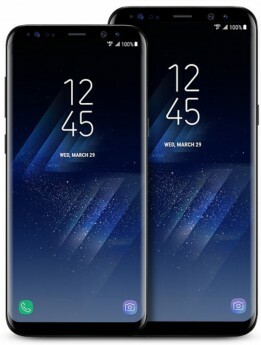 Samsung says the unlocked variants of the S8 and S8+ are compatible with most wireless networks around the world, including those operated by AT&T, Sprint, T-Mobile, and Verizon Wireless in the U.S. Samsung says its own apps and services will be aboard the unlocked S8 and S8+, but carrier-branded bloatware will be absent. Both Best Buy and Samsung will allow phone trade-ins, as well as 24-month financing, to help defray the cost of the device. The Galaxy S8 costs $725 and the Galaxy S8+ costs $825. Samsung expects the unlocked phones to begin shipping May 31. Samsung today began distributing the Bixby Voice user interface to Galaxy S8 and S8+ handsets in its home market of South Korea. Bixby was included on the S8/S8+ at launch without support for the voice functionality. For the moment, Bixby is limited to generating information cards and creating reminders. Once Bixby Voice is installed, Galaxy S8 owners will be able to talk themselves through the entire user interface of select apps, rather than just issue short commands for one-time actions. 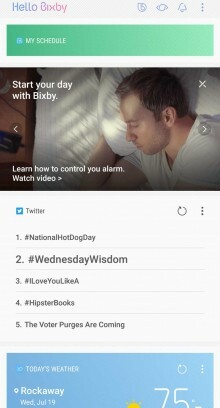 Bixby Voice fully supports 10 apps at launch, including the gallery, messages, settings, phone, contacts, weather, calculator, reminders, Bixby Vision, and the camera. Samsung says people will be able to test Bixby with 20 more apps through its Bixby Labs program. Some of those apps include Samsung Pay, Samsung Health, notes, My Files, email, and the internet browser, and third-party apps such as WhatsApp, Tumblr, Twitter, Facebook, Facebook Messenger, Instagram, and YouTube. Applications still in the Bixby Labs will come to Galaxy S8 and S8+ handsets over time. Samsung did not provide details concerning the U.S. launch of Bixby Voice. For now, the launch is still slated for later this spring. Samsung's new virtual reality headset adds a controller, which dramatically helps improve usability. Together with a Galaxy smartphone, the Gear VR and controller will allow you to dive headfirst into exciting virtual worlds. Here is Phone Scoop's in-depth review. AT&T said customers who own the Samsung Galaxy S8 and S8+ will have access to enhanced wireless service in Austin starting today. Austin serves as the first market for what AT&T is calling "5G Evolution" service, an effort to modernize and improve its network ahead of the official adoption of the 5G specification by international standards bodies. AT&T plans to take advantage of improved LTE 4G network technologies such as small cells, network densification, carrier aggregation, 4x4 MIMO, and 256 QAM to provide real-world speed and latency improvements. The company didn't provide any guidance on what sort of speeds S8 and S8+ owners in Austin will actually experience other than to indicate 5G Evolution will be up to twice as fast as its existing LTE 4G service. AT&T will light up 5G Evolution in Indianapolis this summer with markets including Atlanta, Boston, Chicago, Los Angeles, Nashville, San Francisco, and others to go live by the end of the year. Further, AT&T said it will have "numerous other" 5G Evolution-capable devices available by the end of the year. All four major carriers are moving forward with 5G technology trials despite the fact that the final standard has not been ratified. AT&T's so-called 5G Evolution is "5G" in name only. Can't decide between the LG G6 and Samsung Galaxy S8? It's a tough choice, to be sure. 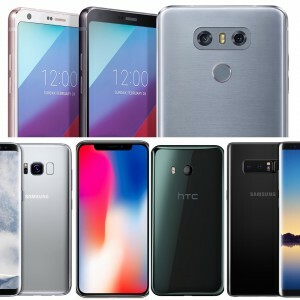 These appealing Android smartphones represent the best from LG and Samsung by breaking new ground in design and refining core features along the way. Here are how these two phones compare head-to-head on a handful of essential buying points. Samsung today said it will push two software updates to its Galaxy S8 smartphone to resolve issues with screen tint and WiFi connectivity. 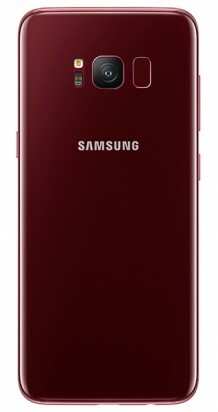 Some S8 owners claim their devices have a reddish tint to the screen, while others say they cannot connect to WiFi networks. Samsung insists there are no actual defects in the device itself and that the updates are being distributed "for consumer comfort." The first patch will address the tint issue, giving consumers "a further enhanced ability to adjust the color setting to their preference." The second patch targets phones sold by a specific carrier in South Korea and will be only be issued there. The Galaxy S8 and S8+ went on sale in the U.S. on April 21 and in S. Korea a few days before that. Samsung says pre-orders for the device have been strong, particularly in its home market of Korea. The company did not share first-weekend sales figures. The phones are the first high-end devices to ship from Samsung after its failed Note7 last year, which was recalled due to battery problems. Cricket Wireless today added two new Samsung handsets to its list of devices. First, the Galaxy S8 is available for purchase from Cricket stores. Cricket is charging $699.99 for the handset, a $50 savings off list price, when the S8 is activated on a new line. Second, Cricket debuted the Galaxy Amp Prime 2 (pictured), a low-cost Android phone. The Amp Prime 2 features a 5-inch 720p HD screen with a 1.35 GHz quad-core processor and 16 GB of storage. The phone includes 5- and 2-megapixel cameras on the back and front respectively, and a 2,600 mAh battery. Other features include LTE, Bluetooth WiFi, and support for memory cards up to 256 GB. The Samsung Galaxy Amp Prime 2 runs Android 7 Nougat and costs $150. Google and Samsung today said starting with the launch of the Galaxy S8 and S8+, Google Play Music will be the default music player and music service on Samsung phones and tablets globally. Consumers who buy the S8 or S8+ will receive a free three-month trial of Google Play Music, which offers ad-free access to some 40 million tracks. The trial also includes YouTube Red, an ad-free version of YouTube. Moreover, Samsung device owners will receive special features from Google. To start, S8 and S8+ buyers will be able to upload up to 100,000 of their own tracks to Google Play Music for safekeeping (double the standard amount.) Google says more custom features for Samsung phones are on the way. Last, Google Play Music will be compatible with Samsung's Bixby voice assistant when Bixby launchers later this spring. Galaxy S8 and S8+ owners will be able to ask Bixby to play their favorite song and it’ll start playing on Google Play Music instantly. The Samsung Galaxy S8 and S8+ go on sale today.